Sargeant Woli Hamsan of Indonesia was awarded the title of Champion Shot by Chief of the Australian Army, Lieutenant General Rick Burr, AO, DSC, MVO, in a ceremony that recognised the 44-year history of one of the world’s largest military shooting competitions. 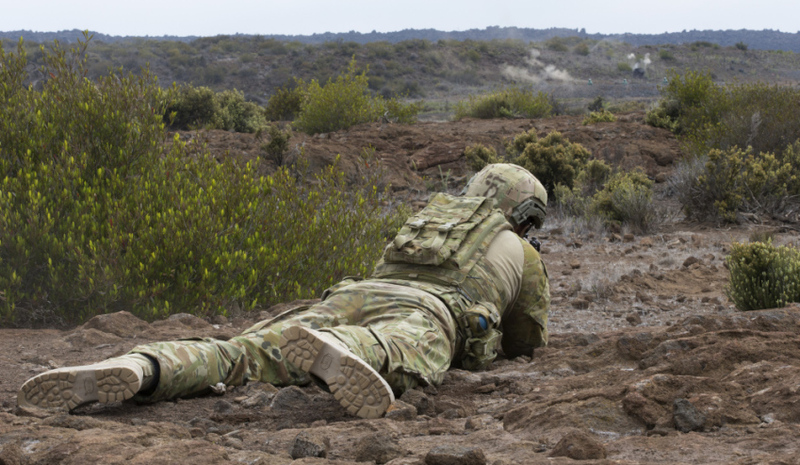 "AASAM is a significant annual event that fosters Army’s relationship with our regional and global partners through friendly competition that sees the best marksmen from across the world exposed to a rigorous, challenging and combat-focused skill-at-arms competition," LTGEN Burr said. "We are honoured to welcome such high-calibre soldiers from around the world to test their shooting ability on an international stage," LTGEN Burr added. Regimental Sergeant Major of Army, Warrant Officer Grant McFarlane, OAM, commended the camaraderie that united the profession of arms during the competition. "Irrespective of nationality, the common language of the soldiers competing in AASAM is marksmanship," RSM-A McFarlane said. The competition included teams from Australia, New Zealand, the US, the UK, Indonesia, France, Japan, Cambodia, Timor-Leste, Tonga, the Republic of Korea, Vietnam, Malaysia, Papua New Guinea, Fiji, the United Arab Emirates, Canada, Thailand and Brunei.